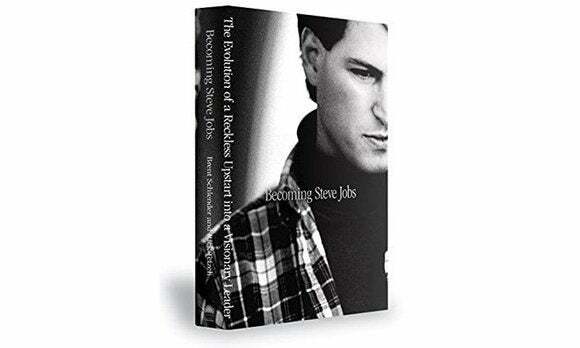 The newest Steve Jobs biography wasn't authorized by Steve Jobs himself, but it does come with the blessing of many of Apple's top brass, and includes plenty of insights from its subject, as he had participated in interviews with coauthor Brent Schlender for years. Glenn and Susie, along with our special guests, Macworld's associate managing editor Leah Yamshon, and frequent contributor Jeff Carlson, discuss what this book taught them about working with Steve, and how he applied the lessons learned from his early failures to his later projects. If Walter Isaacson's official authorized Steve Jobs biography left you cold, Becoming Steve Jobs may be just what you're looking for. Oh, and we didn't want to completely neglect the news of the week, so we also talk about Apple accepting Android trade-ins, Tim Cook's calling out the state of Indiana, and the relaunch of Tidal, a music service that makes almost no sense to us at all. Special thanks to this week's sponsor, High Five, an easy-to-use video and web conferencing setup you can actually love. For a free 30-day trial including five in-room devices and unlimited software for your employees, visit Highfive.com/Macworld today.